Because of Objective-C is C with extra stuff added, we can use same if condition as in regular C Language. Let’s see an example of it. 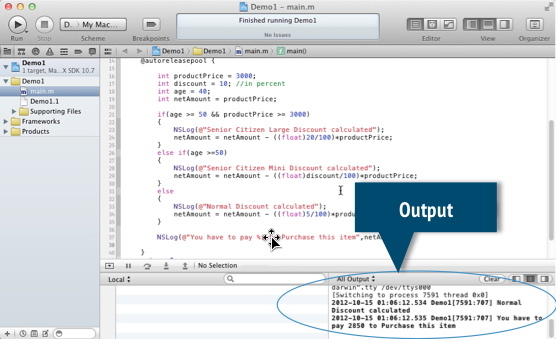 Create New Project in Xcode or use the previous one (Demo1) we created in last example. I’m using same one. Step 1. Update the main method as follow. Just like we use if condition, we can also use switch condition for some purposes. Let’s try in an example. 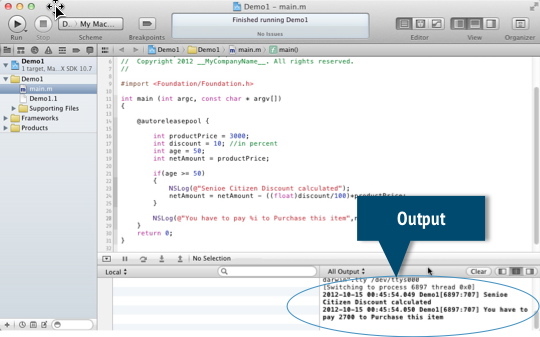 Note: As you can see we can use C Language conditions in Objective-C also. Same way we can also use loops & functions. 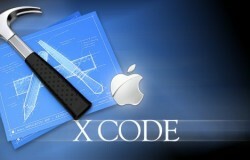 I will not cover that topics separately here but we will see that in action while learning other Objective-C Concepts.